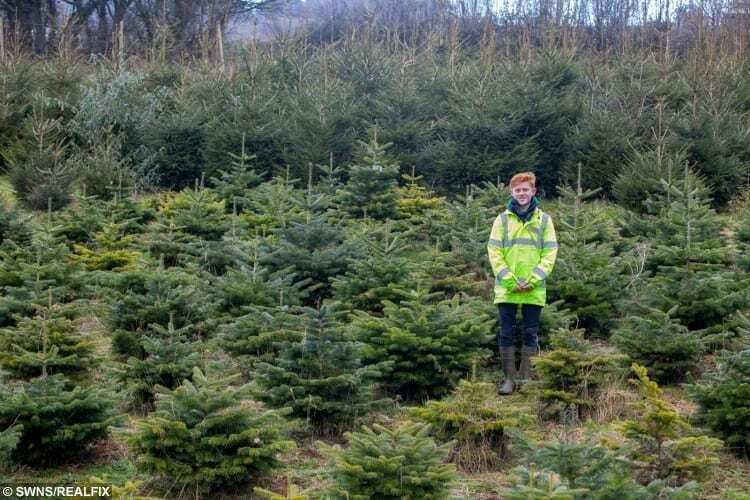 A savvy teenager who started growing his own Christmas trees when he was just nine is now turning over a fir profit and has a plantation with 1,500 of them. Ryan Brook, 16, planted a sapling his dad Andy gave him after getting fed up of his mum Gail’s annual search for the perfect tree. He nurtured it and after selling the tree bought young trees and planted more each year and has now branched out to create his own seasonal business. Ryan currently has around 1,500 trees growing on the family’s land at Dean, nr Shepton Mallet, Somerset, and is selling them at £20 each. The money he makes is going towards his fund for university which he hopes to reach in a couple of years’ time. Ryan said: “A lot of people have said to me that there aren’t many nine or ten year olds who would do this, but I absolutely love Christmas and this is so rewarding. “I was always tired of my mum dragging me round supermarkets looking for the right tree and when my dad gave me a sapling I was inspired to grow my own. “It’s very nice at the field, kids seem to love it. It does put a smile on your face. He added: “I get happiness from selling them. It is a nice feeling and when you see them driving away with a tree on the room. 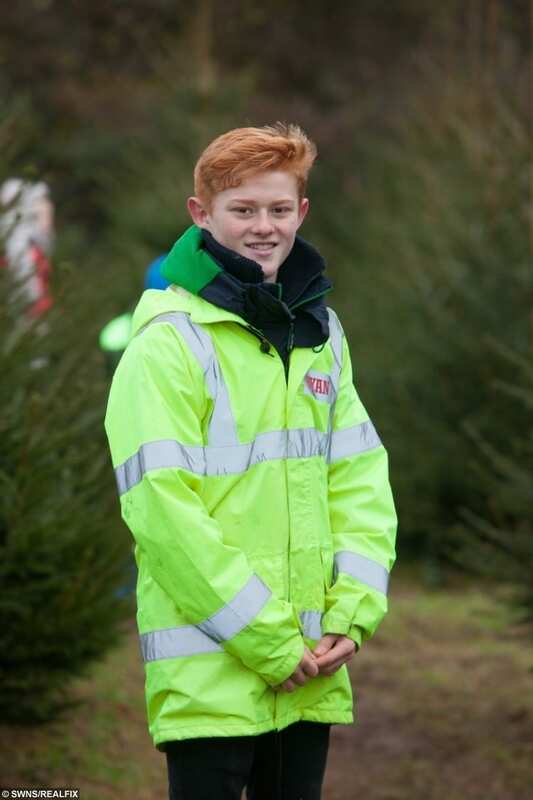 Ryan, a pupil at Whitstone School in Shepton Mallet, usually looks after the trees himself except during the busy Christmas period when his parents are drafted in. Mum Gail said: “He started selling them for the first time last year. He has really grown a passion for it. “We’re just really proud he’s stuck at it. He’s a teenager now and we thought he might go off it but he’s stuck with it. 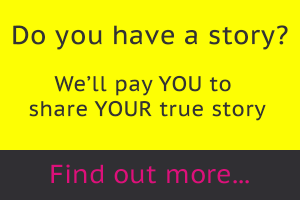 “He hasn’t made loads of money because he’s reinvested it every time to grow more. Every time he takes a tree out, he puts one back. “He will put anything he makes towards the cost of going to university. That’s the long term plan but he does still want to carry on growing them. Last year Ryan had his family at his field on Christmas Eve and Christmas morning to meet demand but does try to keep the special day free to relax with his family.